WILL FATE INTERVENE AND ALLOW THEM TO LIVE AND LOVE AGAIN? It is the year 1914 in central Norfolk, England, when young farmer Frank Matthews meets his all-time love, Gwen Bell, just before volunteering as a sniper in WWI. This captivating novel follows his journey as a lover, husband, father, killer and identity thief as he seeks to survive the horrors of war and the atrocities he both witnessed and committed. The depths of love's fiery embrace are forged within the crucible of the horrors of war. Only Chris Shaw could craft such an epic drama of human endurance, resilience, and most of all...love. 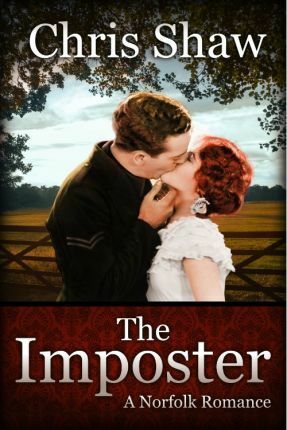 The Imposter is a story of love's precious moments. Not to be missed. Stephen Chong M. Ed. Author of Bodies of Consequence.